Stampingwithamore: WHAT! A Friend Slider Treat Box? 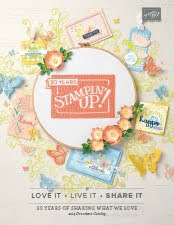 Right now, I'm on my way home from Stampin'Up Convention filled with all kinds of excitement and new goodies! I scheduled this to post, so you have a treat box to create while I'm gone. I really like the way this box opens and I have to give credit to a German lady I saw on You tube. I'm not even sure if it was her idea or someone else's because I couldn't understand a word she said. So Thank You! I hope you like it too! Of course, I had to add a butterfly, but it was a left over I had from a previous project. So, never through anything away! This would make a really pretty Mother's Day Box for jewelry . 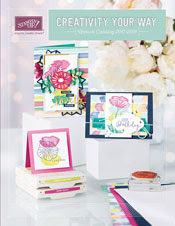 You just need this gorgeous paper, every sheet, every side is so pretty. 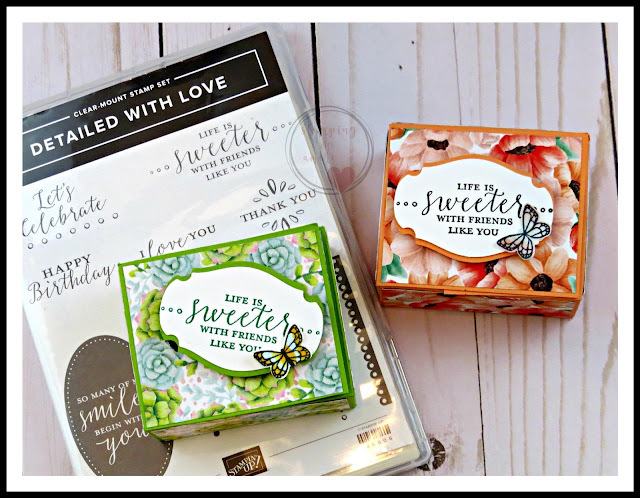 DOWNLOAD FRIEND SLIDER TREAT BOX PROJECT SHEET HERE! Hope you like the Slider Box! Have a Wonderful Day, I will be sharing some goodies with you soon!